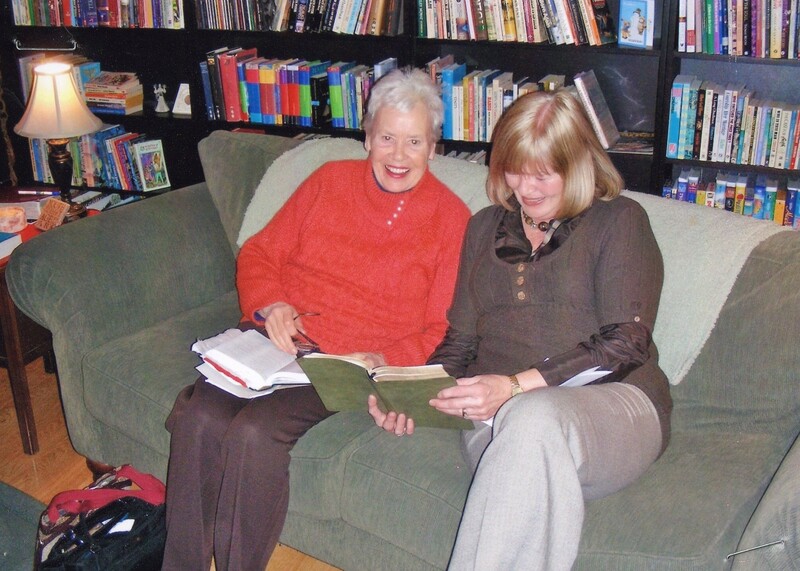 Home Group consists of 10-15 parishioners who meet weekly in one another’s homes for a time of study, fellowship and prayer. Home Group acknowledges that the Holy Spirit takes the truths spoken at the weekend sermon and causes them to grow in our heart and begin to transform our lives. Thus Home Group provides a unique opportunity to continue the dialogue that has begun the previous weekend and to apply the excellent biblical teachings to our daily lives. Home Group takes place at 7:00 pm on Thursday evenings. We begin with a time of refreshments followed by a time of study, sharing and prayer. Newcomers are warmly welcomed and encouraged to try us out. For me, church worship services are private. Although I may be surrounded by family, believers and seekers, my experience on Sunday is personal and may leave me with questions or things I want to discuss with others. Home Group gives me that opportunity to explore my faith deeper in ways I might not be able to with reluctant family members or pew mates. Because it takes place in people’s homes, there is a sense of informality and intimacy not found in some other church activities. Home Group is a reminder that what we are to do as a church community is not just worship and learn together corporately on Sunday, but also grow personally in our faith and help one another to do the same. It reminds us also that though faith should be personal, it should not remain private. We should not miss out on the challenge and blessing of sharing what we wrestle with and what the Holy Spirit has shared with us. We have some new people in our group, and it is delightful to hear from new Christians and how they are growing and finding the Christian life a wonderful experience. I leave each week with a deeper understanding of the previous Sunday’s teaching, preaching and worship, plus questions to explore through prayer and further reading. Through Home Group I learned how to pray, which is something I had never done outside of church before. we all have our own journey, but we don’t have to walk it alone. many people can read the same passage and hear many different things. it’s amazing that you can have an hour-long discussion based on a 13-minute sermon. As one of few “cradle” Anglicans in the Home Group, I was hesitant about joining for the same reasons that many people want to join. I was used to being part of a larger group, more anonymous, with the thought of a closer relationship with a few being rather intimidating. instead of wanting to be part of a smaller Home Group because St. Augustine’s was too big, I was happy being one of many. Witht eh encouragement of Home Group members, my husband and I joined them one evening, for a discussion of the Gospel of John. The scriptural knowledge of the existing members was amazing, but instead of feeling uninformed, I felt comfortable to ask questions … knowing that there were no foolish ones.